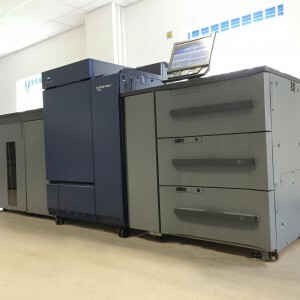 Increased demand for digital work recently saw the installation of Konica’s flagship C1100 colour press. With its unmatched performance, high image quality and stability, increased range of substrates and excellent productivity, it will help us meet the high demands of today’s short run market. The new machine was part funded by the New Anglia Local Enterprise Partnership’s “Growing Business Fund”. A project setup to create additional local jobs through part funding of new capital projects.